Arch hood with internal blower & liner. 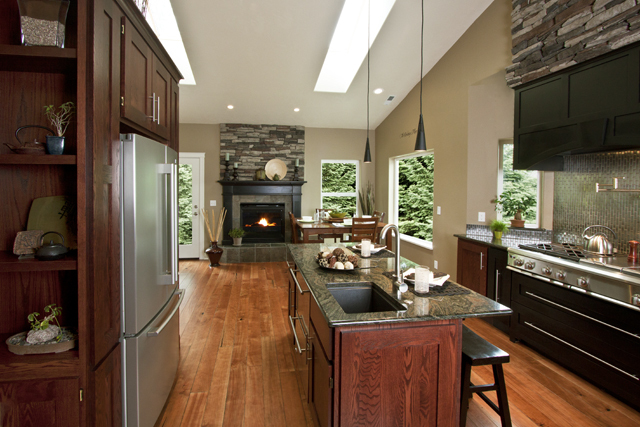 Granite Countertops, with single level in island. Two undercounter ovens and undercounter refridgerator drawers in the island. Long solid stainless pulls of various lengths. Cultured stone above hood and fireplace from Rouge River. This is a pot filler. This faucet is for cold water only. It is shown above the stove installed on the wall of the backsplash. It extends out over the pot so you do not have to carry a full pot across the room, and collapses when not in use against the wall. 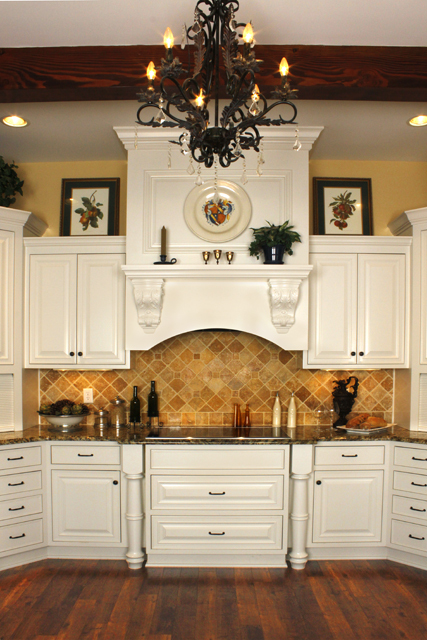 Italian Flair with French country theme. Tambour Corner units with Drawers below instead of the typical Lazy Susan.